This is the second entrance gate built on Van Ness Avenue. The original stucco and terra cotta design was destroyed by fire. 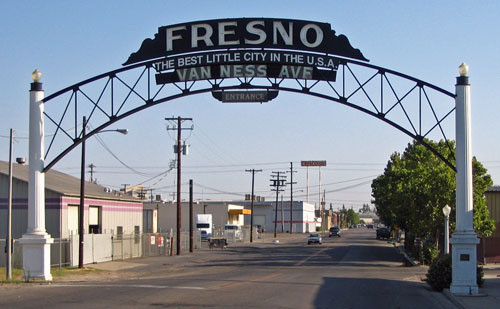 The phrase "The Best Little City in the U.S.A." and neon lighting were added in 1980.